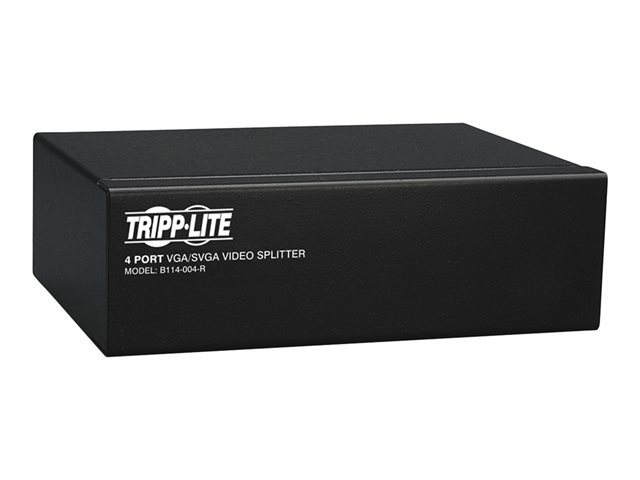 Tripp Lite's 4-Port VGA/SVGA Video Splitter provides bandwidth support at 350MHZ, allowing simultaneous display of video on up to 4 monitors. 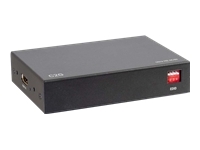 In addition, a built-in booster allows a video signal (up to 2048 x 1536 @ 60Hz) to be transmitted up to 64 m (210-ft.) from the source. 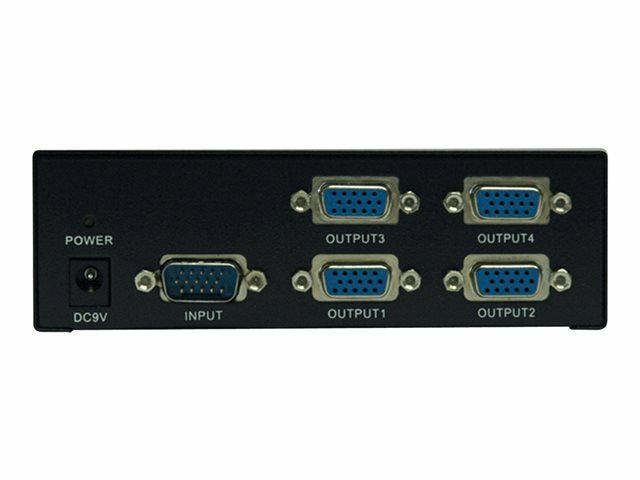 Four standard HD15 female ports are used to connect the monitors, while a fifth HD15 male port is used to connect the CPU. 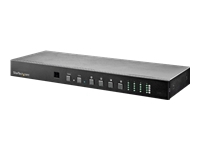 The splitter can be located up to 7.62 m (25-ft.) from the connected computer, and up to 56.3 m (185-ft.) from the connected monitors. The number of connected monitors can be expanded by cascading up to 3 levels of B114-004-R splitters together.